Just picked up one of these second hand VERY cheap . . . . what a sharp lens, fast accurate focus (a little noisy but it is 1990 technology), great colour rendition . . . . perfect on my 5D . . . .grab one soon, you won't regret it ! I just sold my 28-105 markII and get this wonderfull les it is very sharp with nice colors which can be a normal and a walkaround lens for my 40D! 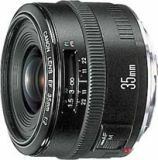 I recomend this lens to replace cheap walkaround zoom lenses! it is also capable of getting close up pics! This is an amazing lens, sharp, contrasty, good color balance. I use it for portraits, candids, landscapes or anything. It is also small,light and unobstrusive and works perfect with my 5D! great lens for the money ! to use for nightshots.. A must for everyone!